A general dictionary definition of Evolution is a “gradual process of change along the progression of time”. It is derived from the Latin verb evolvo, -ere “to roll, to rotate, to unwind”. In biology this word has been more narrowly applied to the theory according which groups of organisms can change over time into new species. The later generations differ substantially from their predecessors to fit in their ever changing circumstances (environment). This is more than a theory! It is an underlying principle of our universe. Everything changes with time. Volcanoes erupt, grow and then erode (I saw it with my own eyes). Continents shift and collide. The Moon gradually drifts away. Comets disintegrate and collide with planets. Stars are formed, they change as they age and then they "die" - some fade away, some explode and others change into black holes. Entire galaxies float, interact and sometime collide or merge. Even the entire universe expands, to our best knowledge, it expands ever faster. Everything changes with time. Why should biology be exempt from this rule? I am not a biologist. I am a theologian and anthropologist and I know and can easily prove that religions also change with time. Why should religion be exempt from this rule? Interestingly, I know and can show how even the idea of Creation changed with time along the changes of human conditions and human understanding. 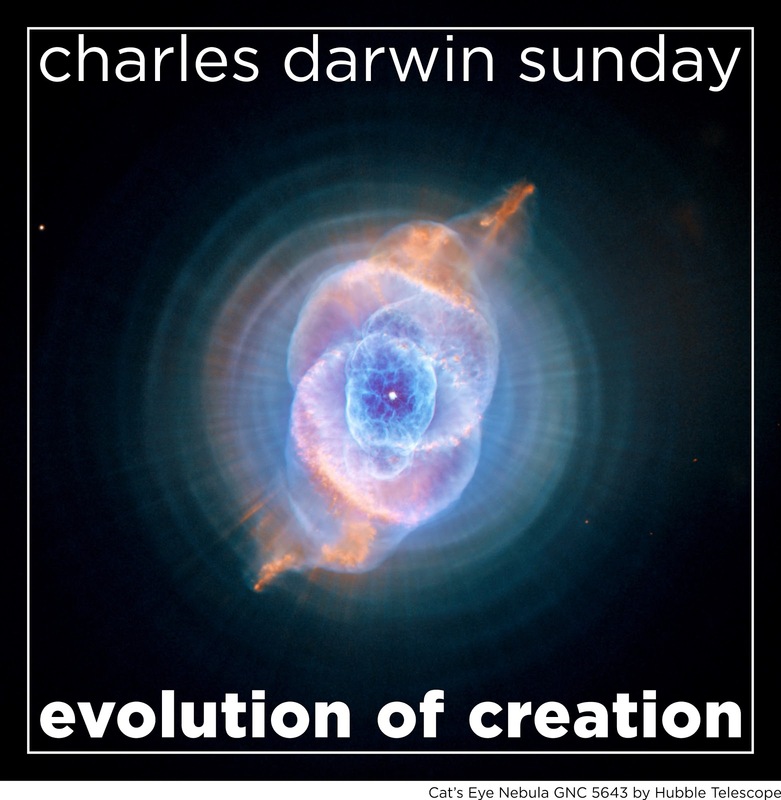 In the Bible itself we have preserved at least five different stages of Evolution of Creation. And that is something you might not know about the Bible. On this Evolution Sunday, come to learn about those five stages but more importantly join us in celebrating this marvelous ever changing world of which we are integral part.